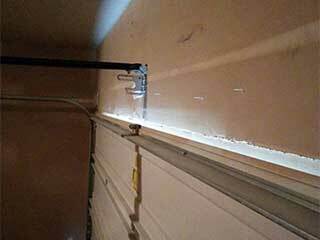 Although your opener is the motor that provides the system with power, it's the springs that are in charge of physically moving your garage door. Even when you're opening it manually, these components are the ones who are carrying the majority of the load. Their importance, therefore, is quite obvious. Our professional technicians can make sure your springs stay at an optimal level, which will also help to ensure the safe operation of your garage door. Just like any mechanical part that gets used on a daily basis, your garage door springs will gradually accumulate wear and tear damage as they get on in years. By having our specialists apply these crucial components with the proper type of lubricant, you're effectively ensuring that they are able to continue to operate smoothly for as long as possible. We can also help you reduce the potential for a malfunction, because we'll closely examine your springs upon every checkup, and replace them when we detect they're nearing the end of their lifespan. This type of unfortunate problem can sometimes be unavoidable. Not only will it render your door inoperable, it will make it dangerous to even try to use, as the panels could collapse. When this happens, don't try to replace the snapped spring by yourself. Without the proper training, the risks involved in this type of procedure are too great. Give our team a call instead. The two main types of garage door springs are torsion and extension. The latter of which is the older variety, which uses extension and contraction in order to generate the necessary tension. The torsion type, on the other hand, is the newer of the two. It is considered not only safer, but much stronger as well, since it uses a twisting motion to achieve the same goal, and is therefore far less likely to snap. Due to the enormous tension these components are under, it's highly inadvisable to try and handle them by yourself. Contact our experts at Garage Door Repair Evanston today to have our professional technicians deal with every type of spring related situation you're facing.